CDTooling granite surface plates provide an accurate reference plane for work inspection and for work layout. Their high degree of flatness, overall quality and workmanship also make them ideal bases for mounting sophisticated mechanical, electronic and optical gauging systems. The size and capacity of our modern facility allows us to manufacture to nearly any custom requirement. 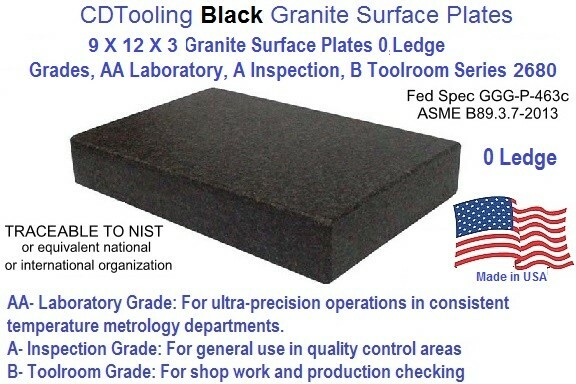 All of the granite we use has been carefully measured to establish the modulus of elasticity, allowing us to comply and exceed federal specifications and user requirements. Our granite surface plates are manufactured in three ledge types as well as standard sizes and grades. Plates that have ledges are used for clamping purposes only. AA- Laboratory Grade: For ultra-precision operations in consistent temperature metrology departments. 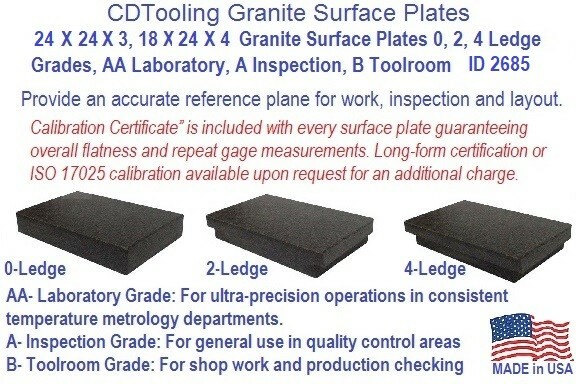 Calibration Certificate” is included with every surface plate guaranteeing overall flatness and repeat gage measurements. 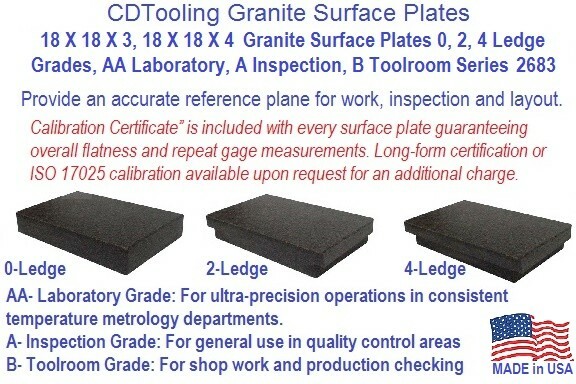 Long-form certification or ISO 17025 calibration available upon request for an additional charge. NIST traceability: Standards employed are calibrated and traceable to NIST or equivalent national or international organization.